The dark Ones have spent many, many years establishing a set up in high places that gave them a solid grip on events that enabled them to dictate the course of humankind’s progress for their own purposes. It may be difficult for people to accept that they were behind both World Wars, inasmuch that they perpetuated the violence and carnage for their own ambitions. Through them they had a target to drastically reduce the human population, and disrupt any attempts to bring an end to wars. They have been successful except that in recent times their dominance has been broken, and they no longer have the power to dictate how events progress that are now providing the means to bring peace to the world. A massive cleansing is taking place and many key Illuminati members have been removed from power, and that has broken their hold on it and the Light is becoming the dominant force. To say that you have been kept in the dark is not an overstatement by any means, and for many years you have lived a life where many people have been in constant need of the basic things, that ensure a reasonable standard of living. Lack of food and medical attention has resulted in thousands upon thousands of premature deaths, in spite of worldwide help from groups that specialise in helping such people. Slowly but surely the position is changing but as soon as one problem is overcome another takes its place. It paints a dreadful picture of wanton hunger and lack that is not helped by constant problems that arise from insufficient funds to fight them. It is time to address the problems so that the wealth of the world is not wasted, and directed to those most in need. As wars cease the monies that would have been spent for perpetuating them can then be directed to those most in need, and ultimately raise the standard of life. It is a daunting task but you have the means to win the battle providing you set about it the right way. The gloom and doom is not a pretty subject to discuss so let us change the subject to one that will gladden the hearts of people. St. Germain waits for the appropriate time to use the enormous funds he has accumulated whilst in his charge, and kept for the upliftment and advancement of Mankind. So the future is very bright and there will be unlimited funds to ensure that it is, so to say “money is no object”. Man however has first to show his intent to turn to the Light and that means permanently putting away all weapons of war. The first unsteady steps are being taken now, and beneficial changes are occurring much to peoples delight and astonishment. Know that you can build upon it because Humanity senses it is time for change to peaceful ways and cooperation with each other. The dark Ones who will not or cannot give up their evil ways are now contributing to their demise, and their time will soon be up. The parting of the ways has already commenced with the inevitable outcome as the vibrations continue to rise up. Much has been planned for your upliftment and you have a lot of ground to make up because of the large degree to which you have been kept behind. You are still using technologies that are now outdated, although some advancements have been passed on such as fibre optics and micro-engineering. They are only the tip of the iceberg, and you must make good the loss of opportunity and time lost to accommodate changes that will give you a great leap forward. To ensure that your progress into the Light was the result of your own ability, those who would have gladly helped you have been held back. There is no gain for you if others even with good intentions interfere with you evolution, and particularly if you were fed too much information without sufficient time to absorb it. Evolution as the Human Race must progress according to your ability to digest that which is new to you, and incorporate it into your history. However, help can be given once you start to awaken to the greater truths so that they can be spread amongst you. Never lose sight of the fact that you are all One, and you affect each other to a greater or lesser degree according to your ability to spread the new information. There is a plan that allows for help to be given when you become “stuck” so that you can move on. Even so it is you who have to do the work connected with it, as you will not learn if everything is handed to you on a plate. Evolution consists of experiencing that which is new to you so that it becomes embedded in your memory. In this way you in turn can help others to evolve, and clearly it becomes easier for all concerned. It is possible to speed up matters and such steps are taken so as to ensure you evolve as intended. There are markers along the way and mankind is both expected and helped to reach certain key points on time. In fact much attention is given to ensuring progress is made according to the plan for your evolution. You could be forgiven for thinking that the chaos on Earth does not lend itself to thoughts of organised progress, but in spite of the outer impression given it is happening. It has to be so otherwise Humanity as a whole would remain in chaotic conditions for much longer. It is not helped by the last desperate attempts of the dark Ones to hold things up, and they can momentarily delay matters. However, their cause is all but lost but they will not admit defeat and fight to the last. 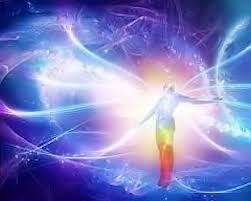 In fact, the Light is becoming more powerful than ever as Mother Earth travels deeper into the new energies. The path for your future has already been written and total success is to be yours. Lightworkers can help others through this period by calming their fears, and giving assurances that the underlying positives are destined to see Mankind rise again. It will be a return to that exalted position that was held before dropping down into the lower vibrations. Bear in mind that when you did so, you were effectively cut off from your Higher Self, setting you adrift without the knowledge and understanding you previously had. Fortunately you have started to awaken in recent times and are beginning to remember who you really are. Your potential is so big that you could hardly imagine what a great soul you were prior to dropping your vibrations to take your place in the lower dimension.